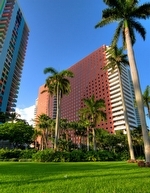 Imperial Brickell is a Bayfront full service condominium in the Brickell neighborhood of Miami. 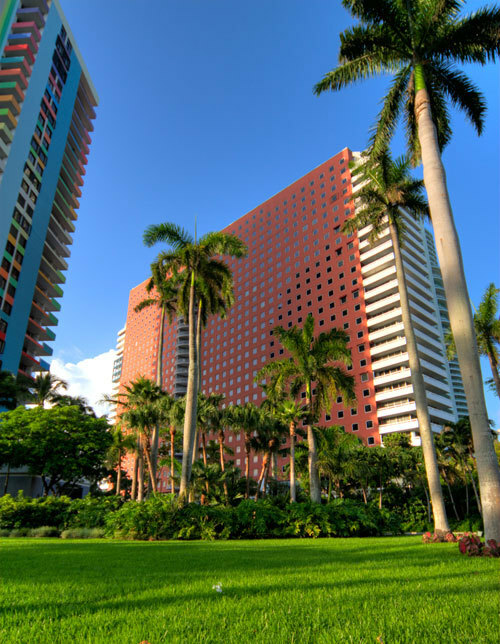 Built in 1983 and designed by famed Miami architecture firm, Arquitectonica, it stands 30 stories high and contains 160 residences. Residences are either two or three bedrooms with between 1,316 and 5,034 square feet of interior space. This property has incredible views of the Biscayne Bay and Miami skyline. 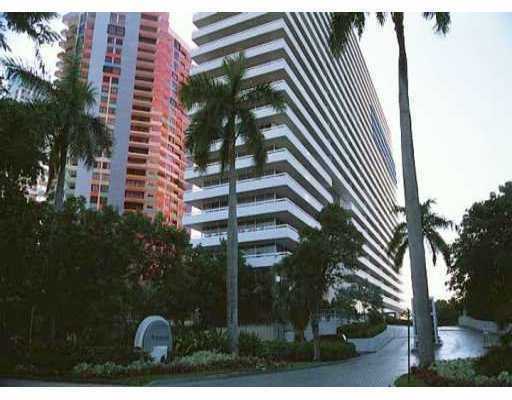 The Imperial offers 7 spacious floorplans and all the amenities requisite of a full service building in Miami. Building amenities include 24 concierge and security, covered parking, bayfront pool, fitness center, Jacuzzi, bbq area, water pathway, and tennis courts. Given the age of the property, many of the residences have undergone renovations, however the views offered and amenities continue to make this a sought after development. Brickell is centrally located in Miami just to the south of Downtown and is a corridor of US 1. It has long been the financial district of Miami and is also an area with many restaurants, shopping, and a very active nightlife. Mary Brickell Village is a pedestrian hub with lots of shopping, dining, and bars and is accessible by the metro rail. The metro rail also can take those who commute downtown, which is five minutes. The beaches whether Miami Beach or Key Biscayne are both around a 15 minute drive as is the Miami International Airport and Design District. Many love the Brickell neighborhood for its location and walkability.